Where is the best place to find cheap Chinese domestic flight tickets? 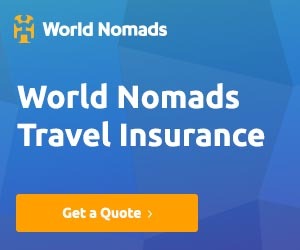 For those who can’t read Chinese characters or who don’t have a Chinese credit card, it may feel like international online travel agencies (OTAs) are your only option. Thankfully, they aren’t – and there are cheaper ways to buy domestic flight tickets in China from a Chinese company. When I first moved to China in 2006, one of the most stressful life events here was trying to purchase China flight tickets online – especially because at the time I couldn’t speak or read Chinese very well. I wanted to be able to shop around for the best prices online while still paying for the ticket using my foreign credit card. Sites like Orbitz, Travelocity, CheapoAir and others are great for booking international flights, but when it comes to domestic flights in China their tickets are always far more expensive than what they should be. Thankfully, over the past few years, buying China airline tickets (and getting prices like a local would) has become easier and easier. This is true even for those people who travel to China without speaking or reading a lick of Chinese! Below I want to share with you four of the most popular methods to purchase domestic Chinese flight tickets in China. These are the ways that are used all the time among expats here, including myself! Ask any expat who has lived in China for more than a year and they’ll tell you all about Ctrip. It’s pretty much the largest Chinese online travel agency (OTA) and because of that, they offer the best prices on domestic flights and hotels in China. A couple years ago, Ctrip launched the official English version of its website – Trip.com. It is owned and operated by Ctrip, and even if you land on the Ctrip Chinese version website, it will try to direct you to the English-language Trip.com. Although Trip.com allows you to reserve hotel rooms, book train tickets and even arrange for airport transfers, Trip.com is primarily known as the go-to place to buy flight tickets in China. There are a few reasons for this, not the least of which is a well-designed website that is available in perfectly-translated English. It feels like any other booking website you’re already used to using. Best Pricing: Because it’s a Chinese company, you’ll find the best pricing available for any flights you search. Payment Methods: They accept almost all foreign credit cards, making it easy to purchase. Mobile App: Trip.com offers a well-designed mobile app that you can download for your iPhone or Android device. Knowledgable, English-Speaking Support: As a Chinese company, they are able to provide much better customer support with Chinese airlines than an international OTA would. Thankfully, they have English-speaking customer support for their foreign customers. That last one is a big deal for me. If you get a flight cancellation, Expedia or Orbitz won’t have a clue what to do. Ctrip/Trip will know exactly what to do. When you’re looking to buy flights in China, I highly recommend you make Trip.com one of the primary comparison quotes. While Ctrip/Trip.com has soared to an almost 50% market share in China, there are other smaller players like LY.com that are worth using at least to compare. The “LY” in this website stands for “Lu You”, the Chinese word for “Travel”. Their primary audience is Chinese people wanting to travel abroad, but they have a very nice English-language website that I’ve used many times to check China domestic flights on. My favorite feature with this Chinese OTA – and the primary reason I mention it here – is their Price Calendar. When searching for a flight, you’ll see a button on the upper right that says “Price Calendar”. When clicked, it shows you the price of the same itinerary when you alter either the departure or return date. Very handy! LY.com hasn’t been around as long as Ctrip/Trip, but they’ve quickly grown in popularity over the past few years. At the very least, I recommend you use the Price Calendar tool to find the cheapest day to fly and then switch back to Trip.com to see if they have a better price. Although not as popular as Ctrip and LY, ChinaHighlights has been serving the online community with flight and hotel booking services for quite a few years. At the very least, I recommend using their service to price check the above two options. What I like about using ChinaHighlights is that they offer instant currency conversion next to each flight option that they give, so whether you plan to buy in Chinese Yuan, the US Dollar, the British Pound, Australian dollar or the Canadian dollar – you’ll know exactly how much you’re spending. Finally, ChinaHighlights boasts a “Personal Trip Advisor” which is basically a specific customer service individual who is specifically assigned to your booking to make sure you have all your questions answered. If all else fails, I’ve found it helpful to check out the websites for the individual China airlines. Nowadays they all have an English version of their site and although it may not always look pretty, at least it can give you an idea of what they’re charging for flights. In addition, there are times when you can actually find your flight on one of the above sites and then check to see if it is cheaper on the specific airline website. In my experience, it doesn’t happen often, but it’s worth looking! The premise behind all of these options is that China offers the lowest prices to home-grown companies. It makes sense if you think about it. Ctrip/Trip, LY.com, China Highlights and all the Chinese airlines are all domestic companies that benefit the Chinese economy. Starting your search in one of these places will give you a good baseline for the price you should expect. Payment is secure and in my experience, it helps having local customer support instead of what an international OTA can give you. Finally, since you’re checking out China flights, you might also be interested in this 5 step process for getting the best price on China flights. A few of the tips there could save you hundreds of dollars! I bought mine from a guy wearing sandals and shorts in a shopping plaza in beijing. one way or another, however it turned out i figured i’d have a story. i got cash from an atm, gave it to him, then watched him disappear around the corner. a few minutes later he returned with a piece of tissue paper with some details i coulnd’t read written on it. the flight was in just a few hours, so i went to the airport, still not knowing if i was going anywhere. I handed the slip to someone at the counter and after looking at it for a moment, he printed a ticket. i was almost surprised. more suprising was the airplane – a boeing so old it still had ashtrays in the armrests with seats spaced like they were on an elementary school bus. i’m 6’4″ so I couldn’t sit down until I took my shoes off and contorted my legs to get them under the seat in front of me. it didn’t crash so i was able to enjoy a few days in kunming.